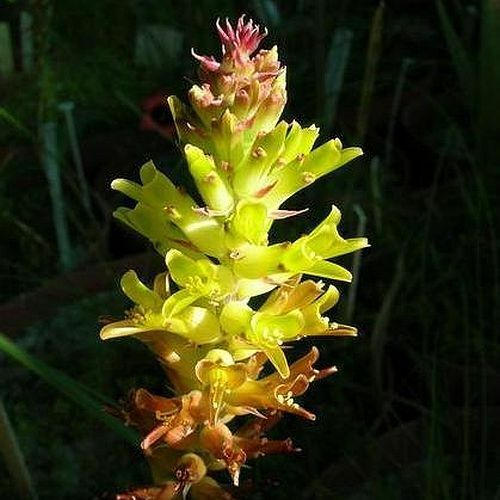 ﻿Lachenalia orchioides var. orchioides is a bulbous plant native to South Africa. It has greenish yellow sweetly smelling cylindrical flowers with the anthers included. The flowers fade to dull red when mature.